Be a scientist, engineer or technician – you will profit from this course to solve your analytical problems. Our qualified staff will take you step-by-step through the use of advanced scanning electron microscopes during an intense 3 days hands-on workshop. 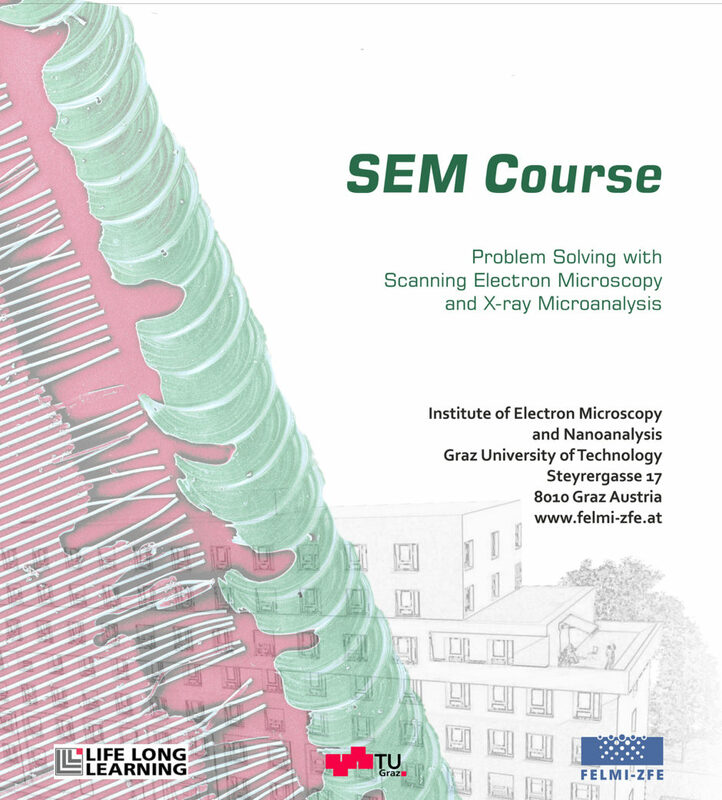 You will gain deep insight into essential principles and methods in the field of scanning electron microscopy and x-ray microanalysis of materials. We are using the latest equipment and know-how to assure that you will successfully take top quality images, spectra and elemental maps. The techniques are applicable to fields ranging from materials research (steel, ceramics, semiconductors, polymers, etc.) to biological research. Feel free to bring your own samples; you will have the opportunity to analyse them on your own with professional help. At FELMI-ZFE scientific curiosity meets experience in scanning electron microscopy – always at your service!